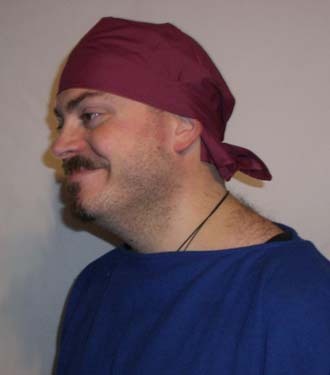 A simple bandana, large enough to fit all. A simple bandana, twice the size of our other bandanas. These are large enough to fit over even large masks. A reversible cotton hat trimmed with fake fur. It can be made in your choice of colours and halved or quartered at no extra cost. A Napoleonic style forage or 'undress' cap. Often worn instead of a Shako or more formal hat. 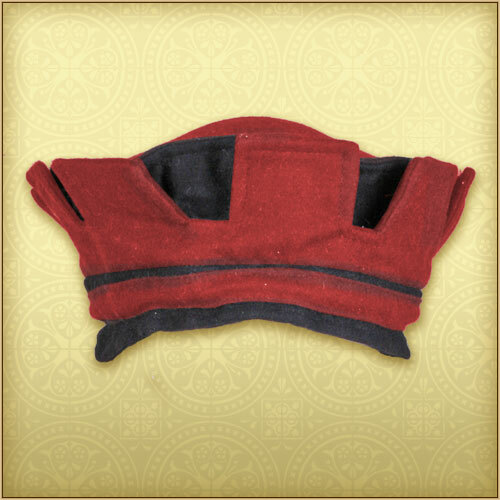 This coif is lined with a soft cotton fabric. 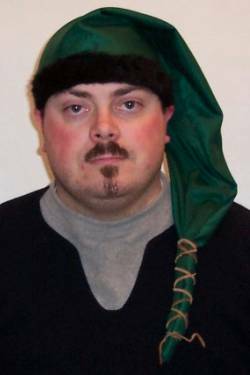 Wear it underneath a helmet or a coif of chainmaille to avoid scratches and bruises in battle. 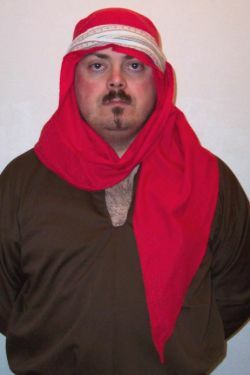 A coif is, a typical medieval piece of clothing. It looks good worn alone or in combination with hats. This woollen hat suits everyone portraying a dignified gentlemen: be it a Lord, Shopkeeper or Scholar. You can adjust the size by using the sewn-in band. 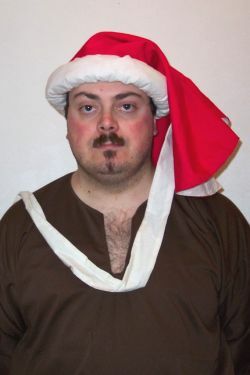 An elaborate medieval hat available in different fabrics. 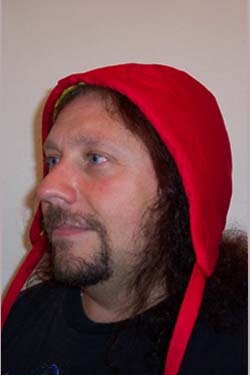 A cotton hat in the style worn by the eastern ‘Rus’ Vikings. Can be made reversible by removing the ties. 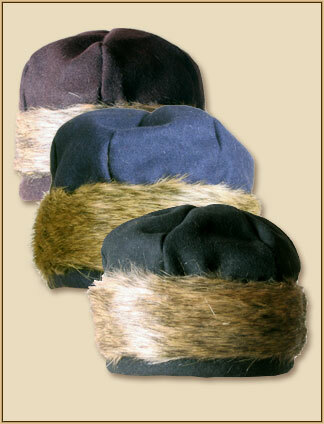 This Norse style cap is available in wool or leather and is trimmed in fur. A very becoming beret with a wide brim. At the inside it has got a drawstring that can be used to fit it to ones head. 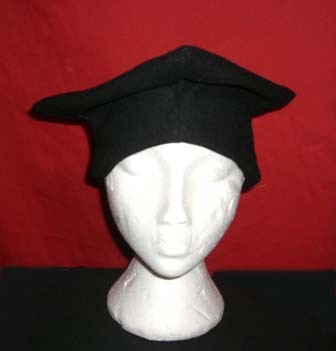 A scholars cap often worn by early clerks and priests. 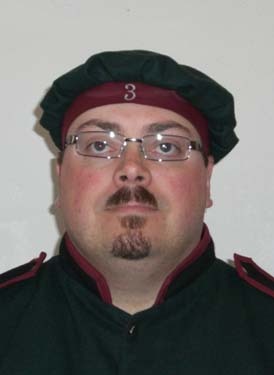 The fore-runner to the mortar board. 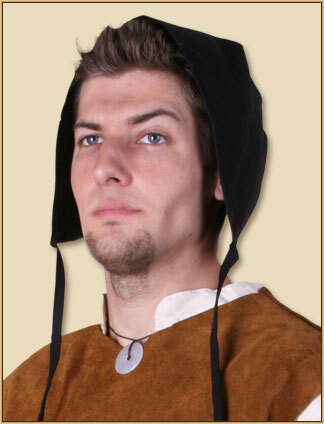 A simple medieval hat made from cotton or wool. Berets like this one here often give the players wardrobe the finishing touch. 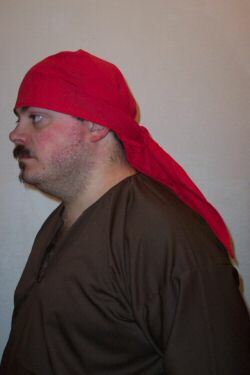 A drawstring enables individual fitting to your head. A cotton head–dress and band in the classic ‘wrap around style’. A cotton head dress based on old Egyptian designs. Plain trim is shown. 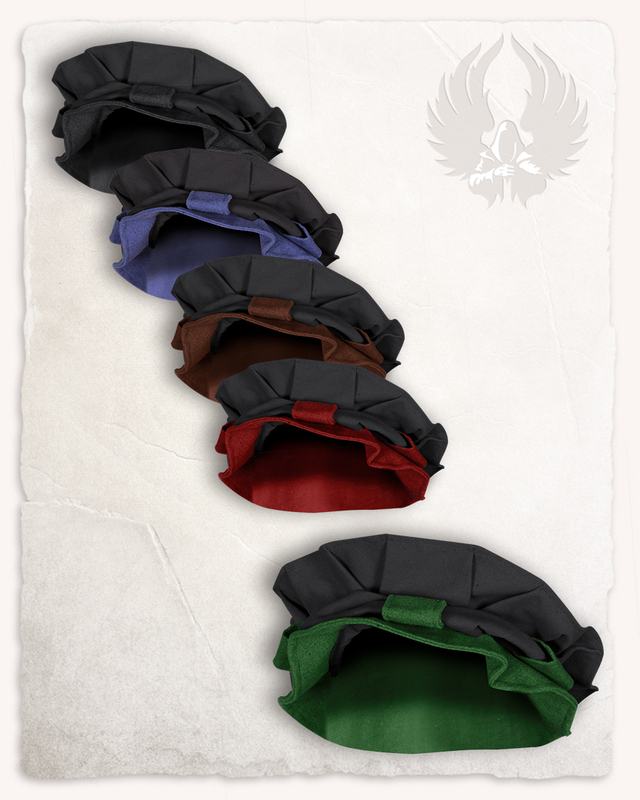 A leather headband ideal for any eleven Lord or lady. A Leather mask for assassins, lurkers and ne'er do wells..
Reversible cotton hood made in the same style as the gambesons. Studded version costs an extra £5(Be careful if you have long hair with this option! ).